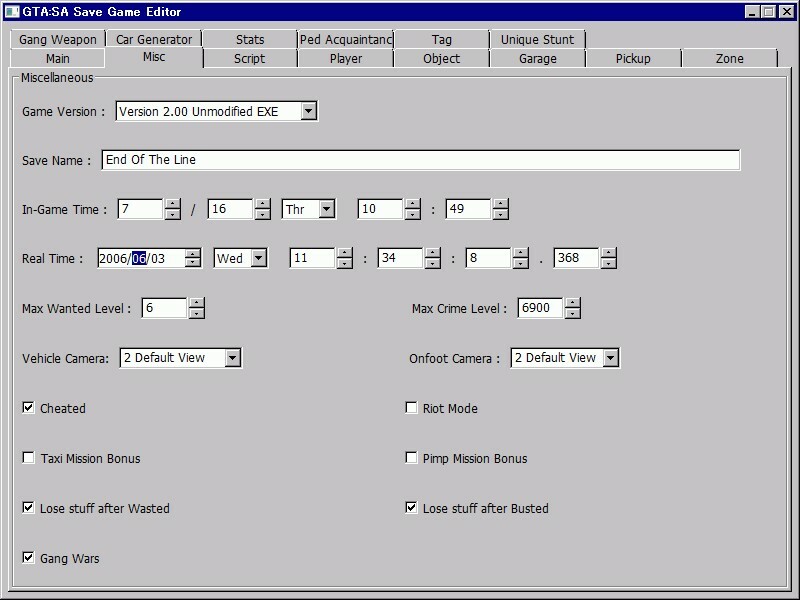 Description: Savegame Editor lets you edit savegame data of San Andreas. The savegames, as you can see on the screenshots below, cointans a lot of interesting features. You may need Microsoft Visual C++ 2008 Redistributable Package to run this tool.